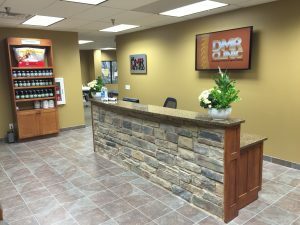 DMR Clinic Woodbury is the sister clinic to Hopkins Health & Wellness Center. Together, they provide patients with an innovative approach to nonsurgical treatment called the DMR Method (Diagnose, Manage, Rehabilitate). With these three elements comprising the foundation of this innovative approach, the DMR Method, performed in Woodbury by the healthcare providers, was designed to provide a quick and effective solution to chronic neck and back pain. By combining a variety of methodologies, including physical therapy, chiropractic massage and traditional medicine, we work within our patient’s unique needs to deliver pain relief and wellness that is drug-free and integrative in nature. We focus on the true source of each patient’s symptoms and provide the right combination of treatment in the right order to provide fast relief that lasts- that’s the DMR difference! Our collaborative team of DMR Method physical therapists, chiropractors and medical providers are evaluating and treating patients from all around the eastern metro area. Above and beyond our clinical work, all of our team participates in the community in various ways. 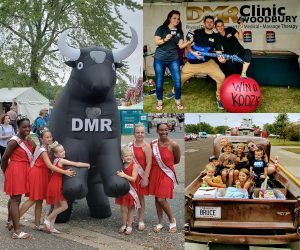 Whether it’s volunteering to do massages on teachers at local schools, being in the Woodbury Days parade or volunteering a community fundraising events, the DMR Woodbury team wants to contribute to the community we serve. Stop suffering from your chronic condition today. By calling our Woodbury office and scheduling your full consultation, you can begin experiencing a life free of nagging or debilitating pain. Schedule your appointment by filling out our online form or by calling 651-621-8803.